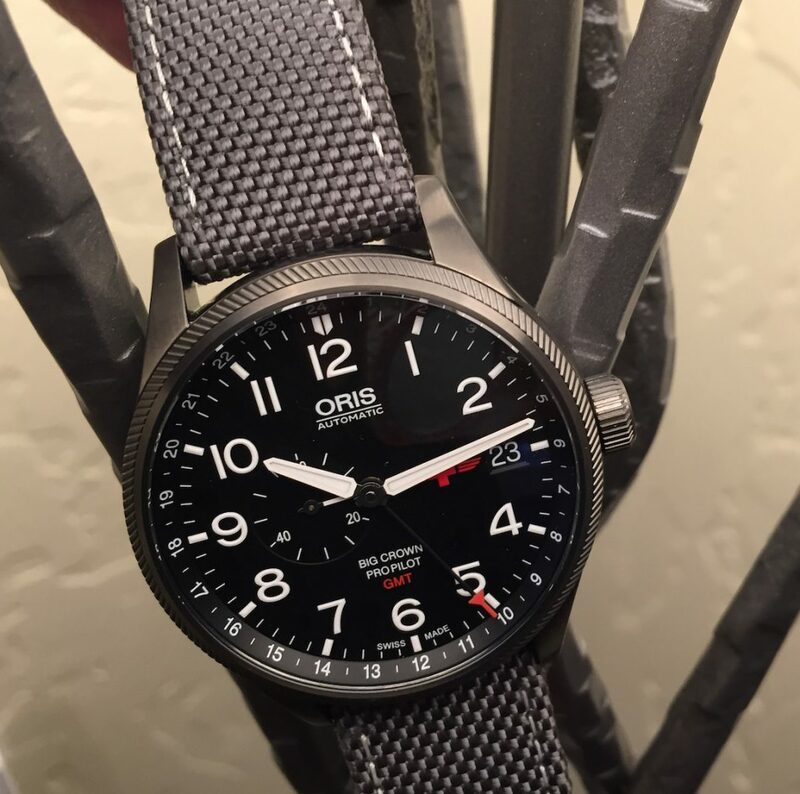 It isn’t every day that a watch brand says, “Join us skiing or hiking in Colorado.” So when that happens, you pay attention — especially if the band is Oris. This Swiss watch brand has been building pilot watches, dive watches and other sports-oriented timepieces for decades, so a mountain adventure seemed all too appropriate. 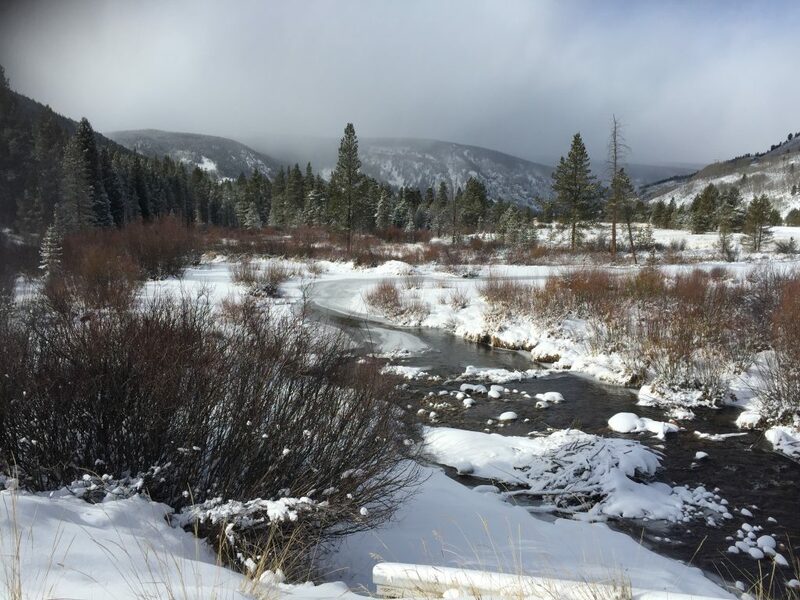 In addition to skiing or hiking the snow-covered trails of Vail, Colorado, with Oris, those of us “chosen few” journalists on the trip, also indulged in some pretty impressive new timepieces. Among them: the Oris GMT Rega Limited Edition, dedicated to a vital 24-hour rescue service; and the Oris Clipperton, with proceeds helping to fund the Clipperton Expedition to the highly polluted French atoll. 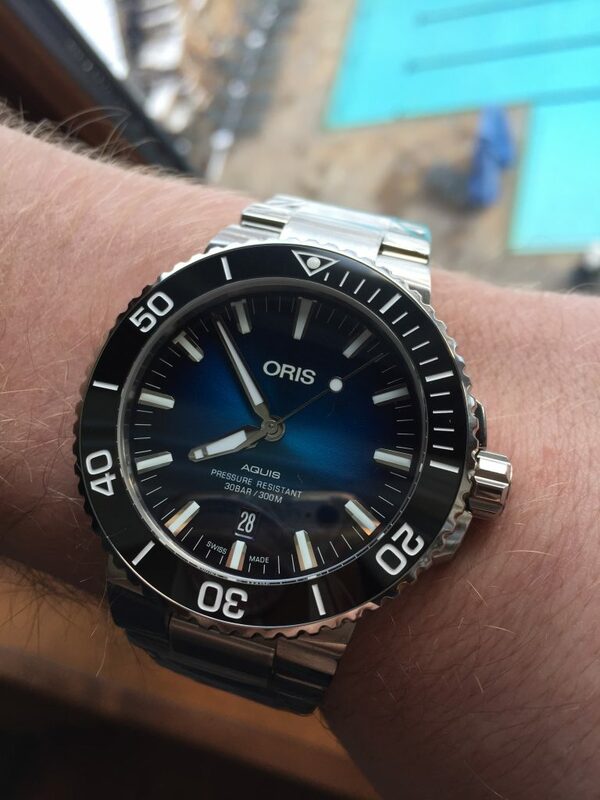 Oris has a reputation for championing conservations causes, and last year brought us the Staghorn Restoration watch, and a few others, and worked closely with the Coral Restoration Foundation to support the growth and out planting of coral. Now, the brand is onboard as a major sponsor for The Clipperton Expedition, a journey to the world’s most isolated landmass as part of its ongoing support of ocean conservation. The expedition is a “citizen-scientist” event to this island in the eastern Pacific that is considered not only the most isolated land mass, but also one of the most endangered makes. The atoll is located in a critical migration corridor used by a number of threatened species of sharks. The purpose of the expedition is to raise awareness of the Clipperton’s situation and to try to preserve its fragile ecosystem. One of the plans is to create a 12-nautical-mile marine protected area around the island, so the teams can collect data and protect the area. The long-term hope is that UNESCO will recognize the atoll and elevate it to a World Heritage Marine Site. 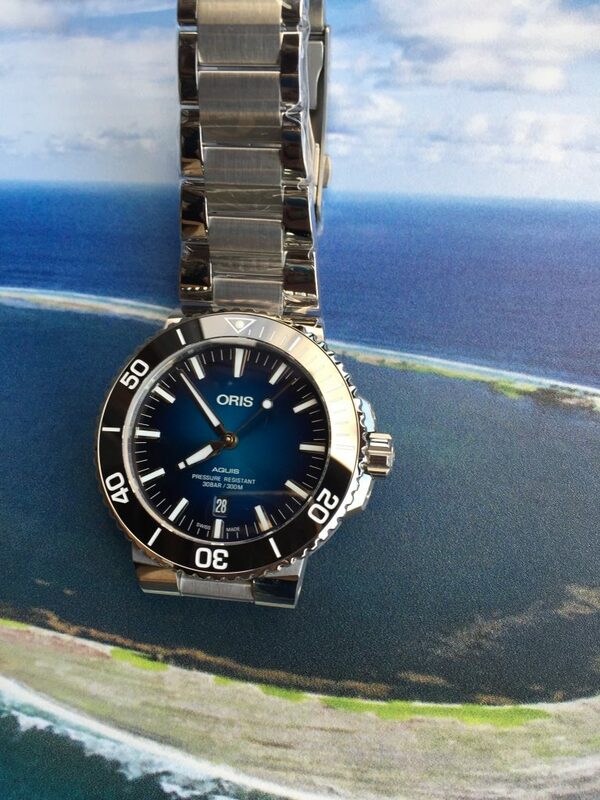 The Oris Clipperton watch is in support of the Clipperton expedition, and the tagging and tracking of shark migration patterns around the atoll. Oris is sponsoring the expedition’s shark GPS tagging and tracking program. The brand also created limited-edition Aquis Clipperton watches to help support this cause. Recalling the deep blue ocean, the new 43.5mm Clipperton Limited Edition watch features a blue dial that is gradient from the center out to the edges. Powered by the Oris Caliber 733, based on the Sellita SW 200-1, the watch is water resistant to 300 meters and offers 38 hours of power reserve. It is sold in a presentation box made of regenerative algae. The watch retails for $2,000 on a rubber strap and $2,200 on a stainless steel bracelet. Just 2,000 pieces will be made, each available for sale beginning in February 2018. In addition to conservation, Oris also focuses on rescue projects, and has been a partner with an independent air-rescue service for several years now. 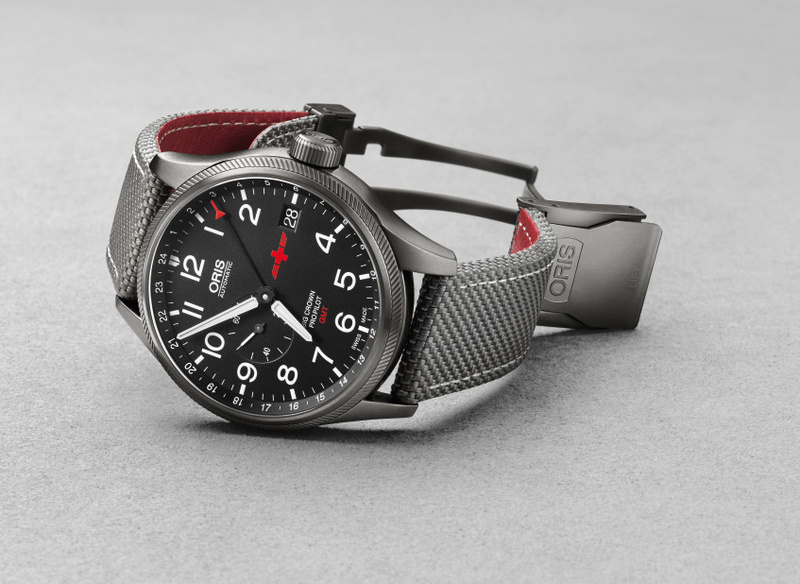 The new Oris GMT Rega Limited Edition watch is the second one the brand has made in support of its partnership with non-profit Rega, the Swiss air-rescue service. Equipped with a second time zone, indicated by a 24-hour central hand, the Oris GMT Rega Limited Edition was created with input from Rega jet pilots and the GMT function is designed to represent the worldwide amulence-jet service offered by Rega across all time zones. The jets carry all the equipment necessary to transport intensive care patients. The new 45mm Oris GMT Rega Limited Edition watch is based on Oris’s Big Crown ProPilot GMT watch and is crafted in stainless steel with a matt gunmetal-gray PVD coating. It is powered by the automatic Calibre 748 with second time zone, or GMT function, indicated by a red-tipped central hand. The black dial sports luminescent Super-LumiNova® Arabic numerals, hands and hour markers. The watch — created in a limited edition of just 2,000 pieces –is finished with a grey textile strap lined with red leather (Rega’s corporate color). It retails for about $2,250. Oris GMT Rega Limited Edition Big Crown ProPilot GMT watch houses an automatic movement and features the Rega logo at 3:00.